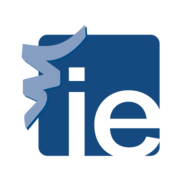 IE is an international institution dedicated to educating business leaders through programs based on our core values of global focus, entrepreneurial spirit and a humanistic approach. Our 500-strong, international faculty teaches a student body composed of more than 90 nationalities in our Undergraduate (IE University), Master, and Doctorate degrees, and Executive Education programs. Our alumni, now numbering over 40,000, hold management positions in some 100 countries worldwide. Positioning: What you need for a successful Marketing Strategy via Coursera 4 weeks long 4 weeks long 29th Apr, 2019 No reviews yet. Investigación de mercados y comportamiento del consumidor via Coursera 4 weeks long 4 weeks long 29th Apr, 2019 No reviews yet. Marketing Strategy Capstone Project via Coursera 5 weeks long 5 weeks long 29th Apr, 2019 No reviews yet. Fundamentos del marketing mix via Coursera 4 weeks long 4 weeks long 29th Apr, 2019 No reviews yet. Gestión del canal de distribución y retailing via Coursera 4 weeks long 4 weeks long 29th Apr, 2019 No reviews yet. Legal Tech & Startups via Coursera 4 weeks long 4 weeks long 29th Apr, 2019 No reviews yet. The Marketing Plan via Coursera 4 weeks long 4 weeks long 6th May, 2019 No reviews yet. Proyecto capstone estrategia de marketing via Coursera 5 weeks long 5 weeks long 6th May, 2019 No reviews yet. Marketing Mix Implementation Capstone via Coursera 4-6 hours a week , 5 weeks long 4-6 hours a week , 5 weeks long 8th Jul, 2019 No reviews yet. Implementación del Marketing Mix Proyecto Capstone via Coursera 5 weeks long 5 weeks long 8th Jul, 2019 No reviews yet. Trade, Immigration and Exchange Rates in a Globalized World via Coursera 2-3 hours a week , 5 weeks long 2-3 hours a week , 5 weeks long 22nd Apr, 2019 No reviews yet. Business Opportunities and Risks in a Globalized Economy via Coursera 2-3 hours a week , 5 weeks long 2-3 hours a week , 5 weeks long 22nd Apr, 2019 No reviews yet. Comercio, Inmigración y Tipos de Cambio en un Mundo Globalizado via Coursera 5 weeks long 5 weeks long 22nd Apr, 2019 No reviews yet. El plan de marketing via Coursera 4 weeks long 4 weeks long 22nd Apr, 2019 No reviews yet.